Ventilation systems in areas like laboratories, chemical, pharmaceutical or nuclear industry have to separate toxic particles, radioactive particles and pathogen agents in order to save the environment, the production or the health of the personnel. Filter systems have to meet high demands regarding the safety and efficiency of particle separation. For these applications Krantz developed the Safe Change Filter Housing, Type SCF hightec. The SCF hightec filter housing iscustomizable for almost all sophisticated filtering demands. Various technical high-quality options to equip the system like e. g.
complete the offer of this product. 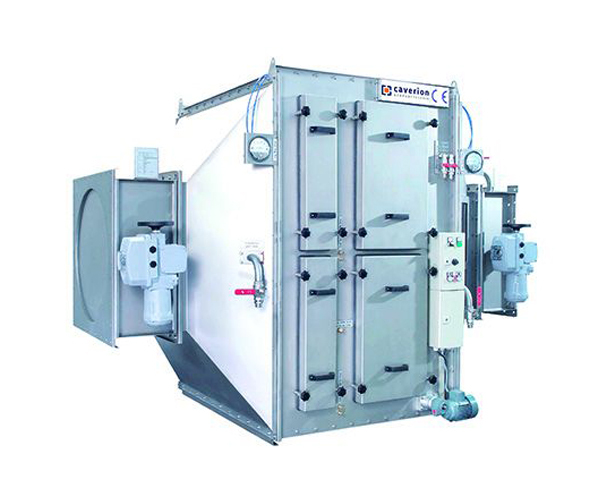 the filter housing is predestined for special requirements and locations with less space.